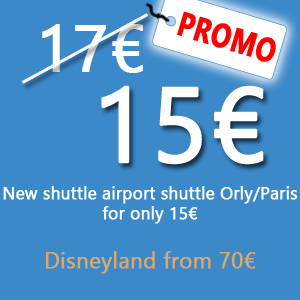 Airport Shuttle One is a booking service and online purchase of a land transfer in Paris, developed and fully managed by Airport Shuttle One, which will be the only responsible for all the aspects of the service. The below conditions are applied to all passengers booking with the Airport Shuttle one company. 1. The payment is carried out at the time of the reservation. Airport Shuttle One will then issue a written confirmation with all the details of the reservation and will send it by e-mail (or by fax on request). The payments are not refundable, except if Airport Shuttle One has to,for reasons independent of its will, cancel the reservation or accepts to cancel it. 2. The customer commits himself to accept the general conditions of Airport Shuttle One, even if the booking is made by telephone. 3. When a person books for two people or more, he engages himself in the name of the other people and Airport Shuttle One considers that all the members of the group also accept the present general conditions. 4. In the case of flight delays, we may delay the departure of the shuttle with a minimal delay. 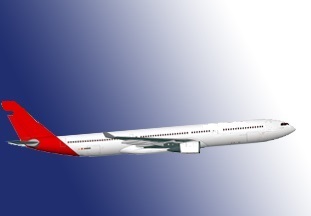 Should Iberia cancels your flight operation, pre-paid amount in reserve Airport Shuttle One, will be reimbursed in full upon request and upon verification of the cancellation with the airline. 5. When planning for your transfer allow enough time for it. We recommend to leave Paris 3 hours before the the departure of the flight. You are the only person responsible. Airport Shuttle One declines any responsibility for delays due to unforeseen circumstances on the road. 6. Cancellations must be made by phone or e-mail. 7. All luggage should be clearly labelled with the owner's name and address. 8. Airport Shuttle One drivers reserve the right to refuse transport in their vehicles to any person visibly under the influence of alcohol and/or drugs and whose behaviour could be considered a threat to the safety of the other passengers and the driver. 9. Consumption of alcoholic beverages and smoking are strictly prohibited on board all vehicles. 11. If the carrier is unable to deliver customers to their appointed destination, Airport Shuttle One will undertake to organise alternative transport. Refunds made by Airport Shuttle One to cover the cost of this alternative transport cannot exceed the cost of a taxi to the customers' destination. 12. Airport Shuttle One can onlybe held responsible for predictable and reasonable incidents arising from an error in the contract.